Are you helping orphans too? 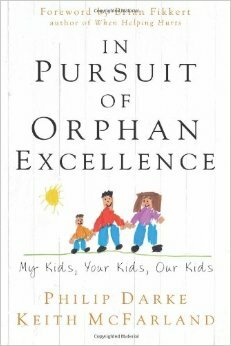 Our friends suggested we read the book “In Pursuit of Orphan Excellence” By MacFarland and Darke. Darke lives in Uganda and serves with a ministry he started called New Hope. He has been there for 15+ years and like myself, he has experienced his share of good attempts at orphan care. Of course anyone working with the millions of orphans in the world knows that we are trying to bridge the gap between broken relationships and loving care. There is no perfect solution besides that child being in a loving family. And that is exactly this book’s premise. This book confirmed that how ROWAN is integrating orphans back into loving family units within the community is exactly the best solution. If you are working with an orphanage, this book will challenge you to consider other options. What is the absolute best solution these children need to experience the love of God to the fullest? The book goes into detail about how orphanages create a continued dependency and limited understanding of what it feels like to belong. It will challenge us to not only think about mothers, but fathers. It will challenge every believer that it is not an option to serve orphans and widows. It’s not a matter of if, but how. This resource has challenged us to pour even more of our hearts into the lives of the caregivers. They are the ones raising up these children. We must train and empower them even more. We must look for more men in the community to support these children as fathers. It is amazing that all of our current local staff are godly men- they are helping fill that gap. But it’s just not enough. Our vision is: Every widow a leader. Every orphan a beloved child. Together we can erase the word orphan from the dictionary. 52 years of Independence & a bright future ahead. Or is it? Read President Museveni’s Speech here. New railroads. Oil. Gas. Minerals. Rich soil and commercial farmland. Trillions of dollars of revenue is entering Uganda as they export to the USA and UK. This sounds wonderful for the nation to rise up and develop it’s infrastructure and economy. But why is it when you land in Entebbe airport, all you begin to see is run down buildings, villages and lack? I have a friend who works with women in the slums of Kampala. One night these women woke up to the sounds of a bulldozer plowing down every home in it’s path to build a railroad. The railroad which will make export possible. These people have land titles. They have rights. They have freedoms. Or do they? If they are willing to displace their own citizens, even kill them if they get in their path, how many lives will they need to pile up in order to rise up? Yes, Uganda has been peaceful overall the last several years. But it would only take a flick of the finger to see the peaceful cards crumble. Thank God they found the terrorists in Entebbe airport last month. Praise God elections have been “somewhat” peaceful. Last time I was there during elections in 2011, I was tear gassed on the streets. My question is, “If Uganda is rising up and receiving so much wealth, where is it?” Why are clinics empty of supplies, schools filled to the brim with students, and buildings falling due to lack of construction? 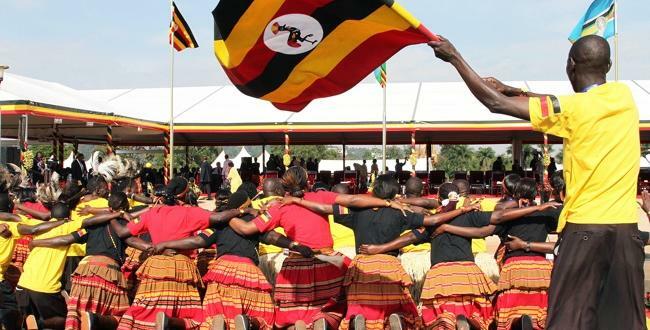 If you have a love for Uganda like I do, you and I both know that the God of the Heavens and the Earth is far more powerful than corruption and sin. God’s hand is clearly on this nation and so far ROWAN has reached out to dozens of various non profits on the ground seeing the hand of God at work. We must not give up hope. Hope is our currency and watching orphans and widows live with joy that comes from our Father…is our salary. Our dream is to see all the ministries and organizations on the ground join hands and work together in their perspective regions. 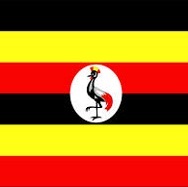 God has strategically placed all of us in Uganda for a reason. Lets see what that is. Thank you for standing with us. Take a moment to read the full Independence Day Speech from President here.